We began to investigate the difference between a mixture and a solution by making hot cocoa. First we examined the properties of the cocoa power - solid, brown, small granules, powdery - and the properties of the water - clear, liquid, tasteless. Then we combined them and talked about what happened. The two ingredients combined chemically to form a new substance. This is called a solution. Solutions cannot be separated physically, but require something more complex, such as evaporation. We'll get into separating solutions next week! 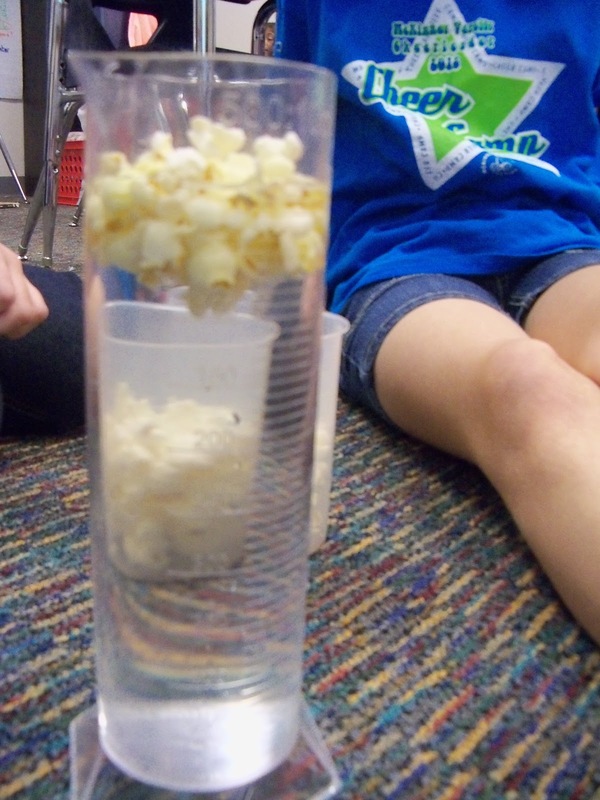 Then we listed out the properties of the popcorn and water. 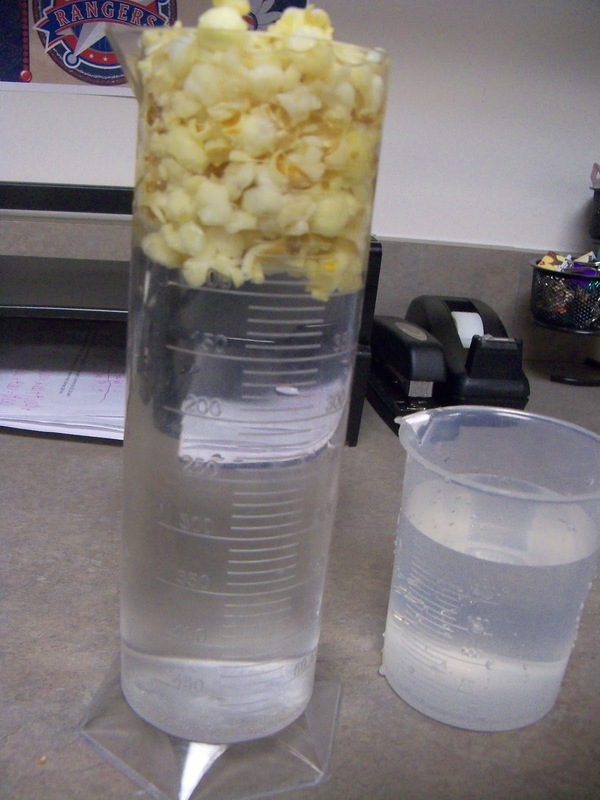 The kids filled a graduated cylinder almost to the top with water, then added as much popcorn as they could to raise the water level to the top. They were amazed by how much popcorn they could add to the water before the water level started to rise! That just added a little bit of fun to the investigation. When they finally achieved this, we discussed what they made was a mixture. The water's properties had remained the same, and they hadn't formed a new substance. 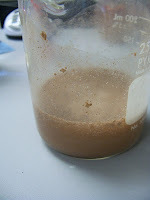 Mixtures can be separated by physical means, such as filtration. We'll be looking at lots of physical ways to separate mixtures next week as well.